Designer Tim Clissold of TC Design presents a range of catamarans, trimarans and solar electric boats. 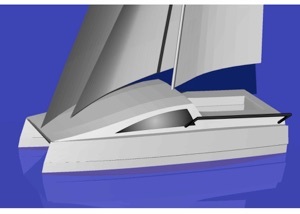 The sailing multihull designs are sophisticated performance yachts, both race winning and comfortable cruising yachts. Designed to be practical and functional, while maintaining a aerodynamic aesthetic quality. The thrill of multihull sailing is available to you too, at a smaller scale. Don’t just browse, get into this excitement in your own cat or trimaran. Get in touch with me and I can help you into the ideal design for your requirements. Custom design is what I do well. Alongside the yachts I am developing a range of solar electric vessels. 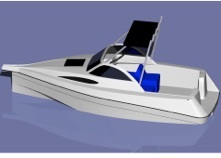 Designed to meet the new requirements of low wake, no noise and environmentally aware craft. 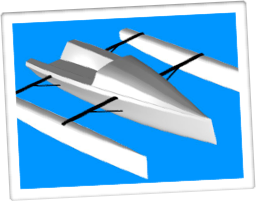 With the cost of fuel going up, now is the time to look at alternatively powered water craft. You get to enjoy the silent and low running costs of the Elotri and EloCat range. I’ve Just come back from an exciting experience in Bermuda with SoftBank Team Japan in the Americas Cup. 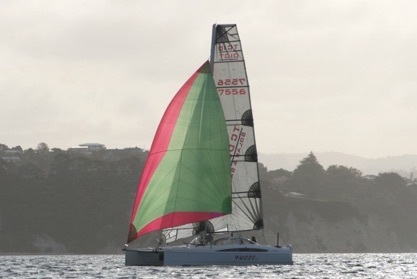 To be involved with foiling, wing masted catamarans is inspiring for future concepts!